Whether you were watching a movie at home or in the movie theater, you've asked the question before: "I've seen that guy in some other movie before. What did he play in?" or "When was this movie released in the theaters?" Maybe you weren't watching the movie yet but were deciding what movie to see. You hade questions like: "What kind of reviews did this movie get? ", "What is this movie about? ", "Why is this movie rated PG-13?" The definitive source for most anything you might want to know about a movie information online is The Internet Movie Database (IMDb). If you go to the IBDb site on your iPhone, it will redirect you to their mobile site, which is more usable on the smaller screen. However, even better than that, is their free app. For practically any movie ever in the theaters (and even some not in the theaters), the IMBb app has 1 to 10 star ratings, user reviews & critic reviews, trailers, photos, release dates, director, writers, cast & crew, plot summary, a full synopsis (if you don't mind spoilers), trivia, quotes, goofs (errors in the movie), etc. It even has a parents guide with seemingly the same content as Kid's in Mind. Let's say you're sitting on the couch, watching the NBA finals, with only your iPhone handy. It is possible to blog from your iPhone? 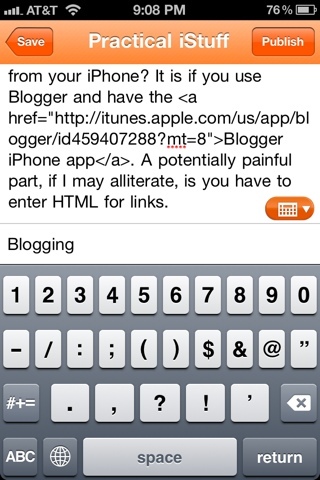 It is if you use Blogger and have the Blogger iPhone app. A potentially painful part, if I may alliterate, is that you have to enter HTML for links. 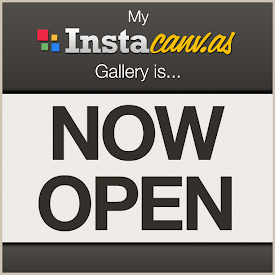 If you use Wordpress, there is an app for that. What do you use for mobile blogging? With the news of over 6 million LinkedIn passwords being stolen, it is becoming more apparent to more people how important it is to use good password practices. People who've had their passwords stolen are not just having to change them on LinkedIn. They're having to change them on every other site that they used the same password.